Ramona Depares is seduced by the coastal city and the contrasting pictures it paints. The view from the Grand Hotel Vesuvio. I’m seated in the foyer of the Grand Hotel Vesuvio, located bang in the middle of Via Partenope, overlooking Castel dell’Ovo, with the Vesuvio itself (no spoiler alerts there, given the hotel name) as stunning backdrop. There’s an air of quiet, old-world luxury to the hotel but this is not what is intimidating me. It’s the knowledge that I am about to be spending four days in the same location as some of my real-life heroes. French writer Guy de Maupassant, for instance, who stayed at the hotel in 1885. I fell in love with Maupassant aged 16, after reading a short story that beautifully encapsulated my penchant for existential dread at the time. Oh, how beautifully right, he was. Then there’s Oscar Wilde. Him, too, I fell in love with aged 16, for the opposite reason. Wilde was all about the decadence and the aestheticism. And I wanted those, too. If the Grand Hotel Vesuvio was deemed worthy by my favourite hedonist, then it would undoubtedly work very well for (tamer) me. Knowing that Wilde stayed there for a short spell at the height of his notorious affair with Lord Alfred Douglas, made for a lovely frisson of pleasure as I followed the concierge to the elevator, wondering which room had seen Wilde entertain his liaison. Dining at the Caruso, with the Vesuvio in the distance. It’s clear that the staff, even in the present day, have decided to live up to the hotel’s reputation for hosting celebrities, and their demeanour is impeccable – polite, warm, efficient, without being intrusive or overbearing. I guess it comes of entertaining A-listers on a daily basis (the list is endless and includes Woody Allen, Clark Gable, Sofia Loren, Matt Damon, Jon Bon Jovi, Gwyneth Paltrow and a host of other celebs and royals). My room is as inspiring as they come and, in the evening, I settle down to write on the balcony, admiring the electric storm that was flirting with the peak of the volcano – obligatory glass of wine in hand, of course. But not before I go for a leisurely stroll across Via Partenope, which is pedestrianised in the evenings, taking a million selfies. Because the Amalfi Coast, and the Bay of Naples, need no filter and I’m hoping they extend the courtesy to me. Dinner at the Caruso, on the top floor of the hotel, follows. Because the legendary tenor in honour of whom the restaurant is named was also a habitué of the hotel; in fact he actually passed in one of the suites. 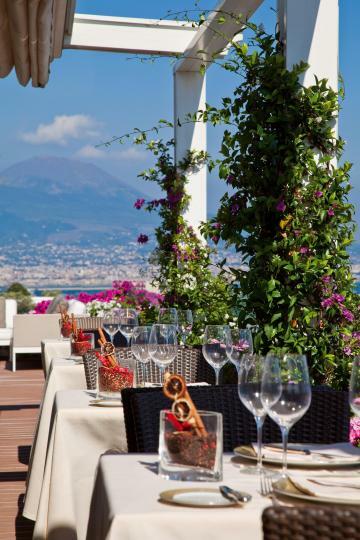 Enjoying luscious food and view, it is easy to see what attracted Caruso to this place, so soothing to the soul it is. The following morning, my inspiration continued to flourish upon visiting Castel dell’Ovo, right opposite the hotel. Entrance is free and you get some unique vantage points for your filter-free selfies. 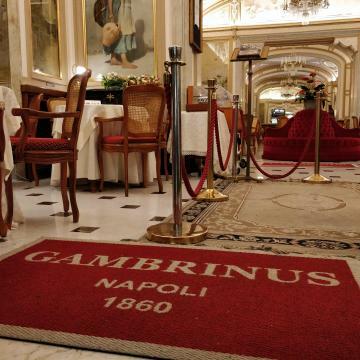 It is a side of Naples that is genteel, unhurried, much like life at the Grand Hotel Vesuvio. But there’s an edgier side to the city, one that I was about to discover and be equally fascinated by. The hotel is within walking distance of one of the most intriguing quarter of Naples – the warren of narrow streets so full of character and wonders, extending all the way from the commercial Piazza del Plebiscito up to the Spanish Quarters. This quarter could hardly be any more difficult to the stunning hotel I had just walked out of. It is a side to the city that is raw, and that reminds me of life in my own hometown of Valletta, before it got gentrified anyway. Clothes are hung to dry from window to window; motorini zigzag dangerously from one side of the road to the other, no helmet necessary; statues of Padre Pio are everywhere, surrounded by mementos to the locals’ dearly departed; I peer into an open door and see a woman preparing what smells like minestra on an open stove. Best of all, however, are the tiny restaurants that dot the entire area. Somewhat shoddy from the outside, offering a taste of heaven on the inside. The traditional pizza is a must. You can tell that you’re as far away from tourist trap country as possible by the fact that all the diners are Napoletani, shouting at each other across the tables in a dialect that my understanding of Italian does not recognise. We get some curious stares; we bid a cheery ‘buonasera’ and proceed to chat between ourselves in Maltese. This seems to mark us as one of them; invariably, we are served with a smile and a chat and the food is always wonderful. We dine in these hole-in-the-wall osterie every evening; every evening we promise ourselves to forego primi and dolci; every evening, we fall prey to the temptation of baba rum and torta di pere. We leave Naples with the promise to return. It is a city you love or hate, and we certainly love it. On the way back to the airport, the taxi driver almost crashes into a motorino and, a couple of profanities later, turns to me with a smile and tells me that this is the real Napoli, that you can’t get away from the spirit of rebellion, of ‘anarchia’. 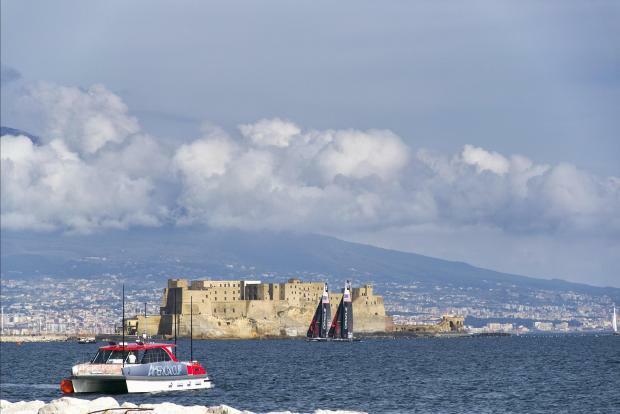 The winds of change, they blow strong and seductively in Naples. This feature first appeared in Sunday Circle magazine. Browse the magazine for free using the TOM Mag app, available for download in the Apple App Store or Google Play Store. 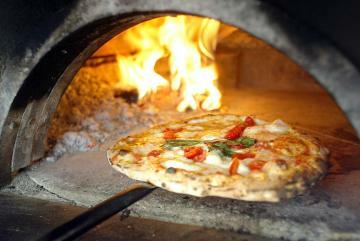 Where to eat – When you feel like treating yourself, book the Caruso, at the top floor of the hotel. You get the amazing view of the entire Amalfi coast, volcano included, at your feet. But not just that – food and service are topnotch. For a more Neapolitan experience, drop in at the Osteria della Mattonella and (www.osteriadellamattonella.com) make sure you try the Pasta e patate con Provola, a Napoletan specialty. For amazing pizza, drop in pretty much everywhere – or at L’Antica Pizzeria Da Michele if you’re a stickler for tradition (www.damichele.net). For the rum baba, it has to be Caffe Gambrinus – no, not the one in Valletta, the one in Piazza del Plebiscito (www.grancaffegambrinus.com/). It comes with some eight decades of history and oodles of rum. 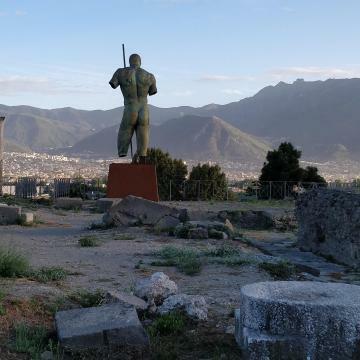 Must-sees – a daytrip to Pompeii involves a 40-minute trip on the Circumvesuviano, departing from the central station. Take a hat, sunblock and good walking shoes and make sure you spend the day. Everyone else seems to have included the actual Vesuvio, but we preferred to do full justice to Pompeii itself. Underground Naples offers a fascinating, if dank, journey, while the historical centre is a glorious hodge podge of museums, architecture, markets and shouting people. Keep an eye on your bag at all times and don’t act stupid with your valuables. If you have the time, take a boat trip to Capri and spend the day day, eating lemon granita and touring the hair-raisingly narrow hills on a motorino. Pack your swimsuit and your big shades and you can pretend you’re a celeb hiding from the Paparazzi.